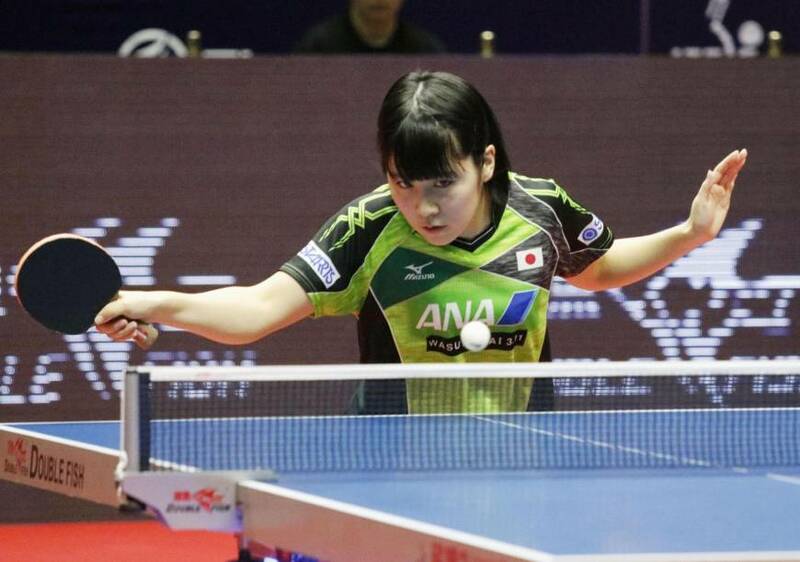 ASTANA - Miu Hirano, a bronze medal winner at this year’s World Table Tennis Championships, made a first-round exit in the women’s singles at the season-ending ITTF World Tour Grand Finals on Thursday. Hirano, whose bronze was Japan’s first medal in 48 years in the women’s singles at the worlds in Germany in June, lost 4-3 to China’s world No. 17 Gu Yuting. In men’s doubles action, world silver medalists Yuya Oshima and Masataka Morizono got off to a winning start, beating compatriots Tomokazu Harimoto and Yuto Kizukuri 3-2 to reach the semifinals. Jin Ueda and Maharu Yoshimura also advanced with a 3-0 victoryover Belgian pair Robin Devos and Cedric Nuytinck. Oshima was knocked out in the first round of the men’s singles, as was Kenta Matsudaira and Masaki Yoshida. There were victories for Japan in the women’s doubles for Hina Hayata and Mima Ito, and Honoka Hashimoto and Hitomi Sato. The World Tour Grand Finals involve the best players from the 2017 ITTF World Tour, which comprises 12 events in 12 countries during the year. The top 15 men (plus one host nation representative, from Kazakhstan in this case) and the top 16 women, together with the top eight men’s and women’s doubles pairs play at the event.